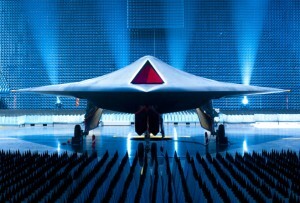 To launch the international Campaign to Stop Killer Robots, the the founding members are convening a day-long conference in London on Monday, 22 April 2013 for interested non-governmental organizations (NGOs). Currently under development, killer robots are weapons with full autonomy and would be able to select and fire on targets without any human intervention. The aims of the conference are: 1) To increase civil society awareness and understanding of the challenges posed by fully autonomous weapons (killer robots); and 2) To encourage action by civil society to campaign for a ban on their development, production, and use. The NGO Conference on Killer Robots will bring together NGO representatives to learn from each other and brainstorm about actions that civil society may take to campaign against killer robots. It will include opening and closing plenaries, but the bulk of its deliberations will be organized around learning and action workshops comprised of facilitated small group discussion. International and UK representatives from interested NGOs are welcome. Participating NGOs will be encouraged to endorse the campaign’s call for a ban on fully autonomous weapons, but the conference is also for NGOs that simply wish to learn more about the issue and campaign. Space is limited however, so all interested participants must register with the organizers via the online registration form. The NGO conference is being organized by Article 36 and hosted by the ad hoc leadership body of the Campaign to Stop Killer Robots, which is comprised of the following NGOs: Article 36, Association for Aid and Relief Japan, Human Rights Watch, International Committee for Robot Arms Control, Mines Action Canada, Nobel Women’s Initiative, IKV Pax Christi, Pugwash Conferences on Science & World Affairs, and the Women’s International League for Peace and Freedom.